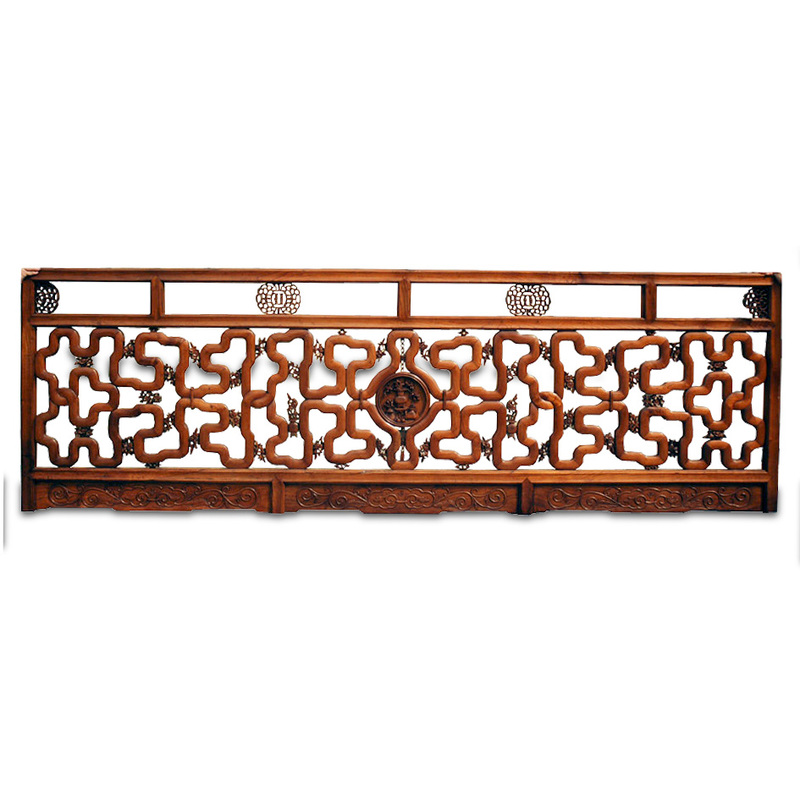 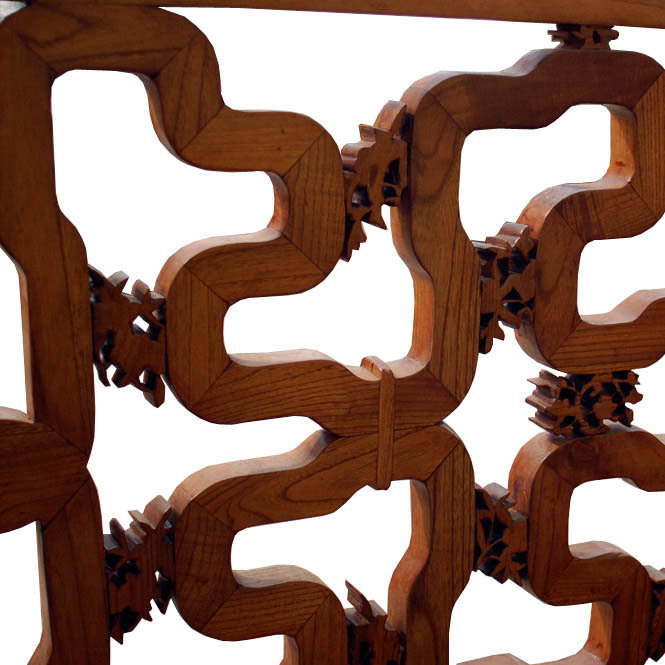 This incredible, probably 10 feet long or longer, massive size architectural railing is made of the finest grade of Ju wood can be found and is composed of all the best examples of Chinese woodwork, either in form, design, joinery, carving, craftsmanship, you name it. 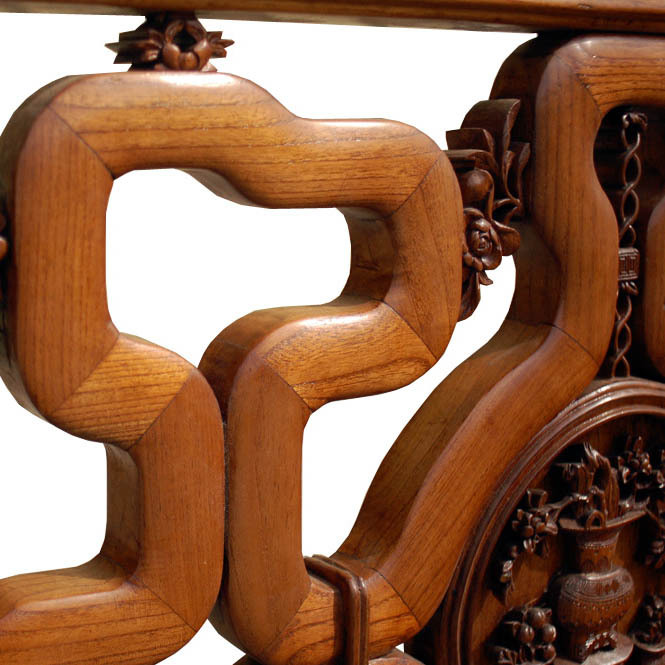 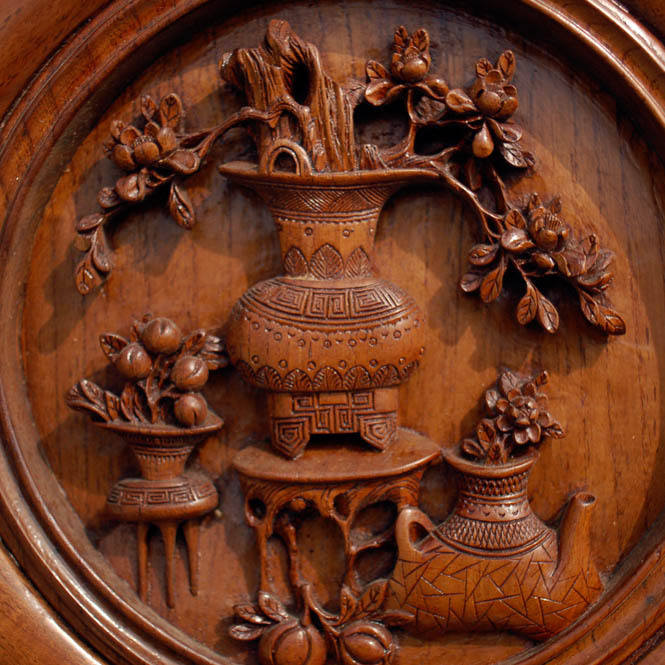 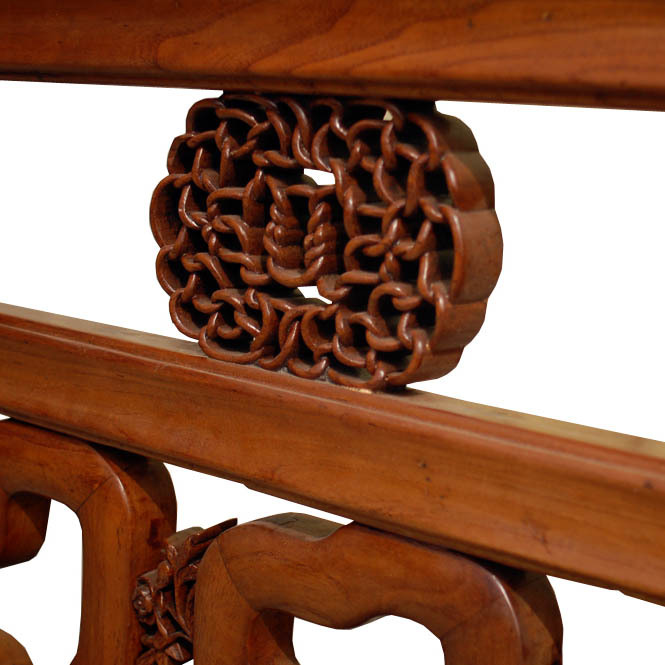 Such railing came from a very large and prominent building and possibly from nearby Suzhou/ Jiang-Zhe area where the best Chinese woodwork was produced once. 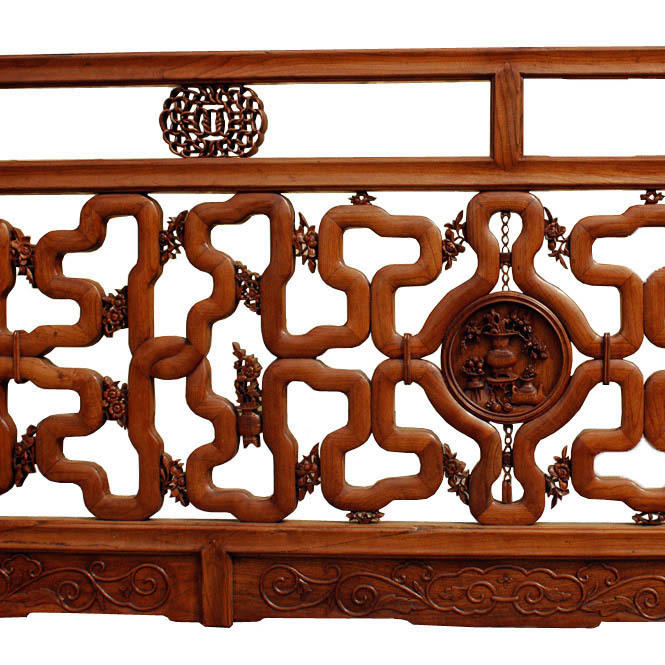 Please enjoy the detailed photos provided below.